Title Insurance - Is It Worth the Extra Expense? Likely, the biggest investment you will make is purchasing a home. In the State of Georgia, determining the rights and interests to real property is the responsibility of the closing attorney who represents the lender. Let's start with the basics but HANG WITH ME! This gets really interesting at the end, but I need to review the basics first. · Defective title — "Defective title" covers any number of problems with the title to your home. It can even include a "contested title". Defects are rare, but they can be very difficult to get rid of, making the property inaccessible, unbuildable, or unsaleable. Any number of other complex problems define "Defective title." · Contested title — This happens when someone who owned or even lived in the home before you claims to still have ownership. If this happens, the title insurance company will defend your title and the process will cost you nothing.  The lender requires you get LENDER'S title insurance that protects the mortgage balance. STANDARD TITLE INSURANCE covers the equity between the purchase price and loan amount at the time of purchase. ENHANCED TITLE INSURANCE covers the house’s appreciation over a period of five(5) years up to 150% of face value. The ENHANCED policy sounds really good until you read that sentence again. Five(5) years, not 15 years or 30 years, or even 7 years (the average length of home ownership), is what they are covering extra with a significant jump in price. ASK and comparison check before you agree to your new policy. If the State requires STANDARD TITLE INSURANCE be quoted, that might be reason to pipe up with the questions and shop carefully. **And here is my CMA - I am not an attorney and this is not legal advice. If you want more information about title policies, search up title insurance companies or get quotes for both policies yourself.